Variable 2-Speed, Reversible, SUB-COMPACT Size - PROFESSIONAL Power. Sub-compact size (only 6-15/16 inch long) with high power ideal for professional installers, cabinetmakers, electricians, hobbyists, DIY and more! eXtreme Protection Technology (XPT) offers maximum protection against dust, debris and liquids for optimal performance in extreme conditions. Brushless DC motor with high power to weight and size ratio. No Load Speed: Low 0 - 500 RPM, High 0 - 1,700 RPM. Blows Per Minute: Low 0 - 7,500 BPM, High 0 - 25,500 BPM. Maximum Lock Torque 350 in. lbs (40 Nm). Ready for all drilling applications in materials from concrete to wood to metal, the lightweight yet powerful Bosch HDS181 Compact Tough cordless hammer drill/driver's 7-1/2 In. head length is the smallest in its class, yet it delivers top performance with strong power. Part of the Compact Tough series, the HDS181 works at two optimized speeds--one ideal for high-torque applications (0 to 500 RPM) and one ideal for high-speed applications (0-1, 700 RPM)--and it provides a maximum of 600 inch-pounds of torque. The 4-pole open frame motor and newly developed gearbox provide exceptional power. The 18+1 clutch settings included in this Compact Tough model and a variable-speed trigger help you match the best speed to the job, so you can achieve precise results. The HDS181's Durashield housing is constructed with ABS/nylon composite, which makes the housing flexible on impact and able to withstand tough job-site conditions. 1/2 inch Sub-Compact Cordless Hammer Drill / Driver with Brushless Motor Variable 2-Speed, Reversible, SUB-COMPACT Size - PROFESSIONAL Power. 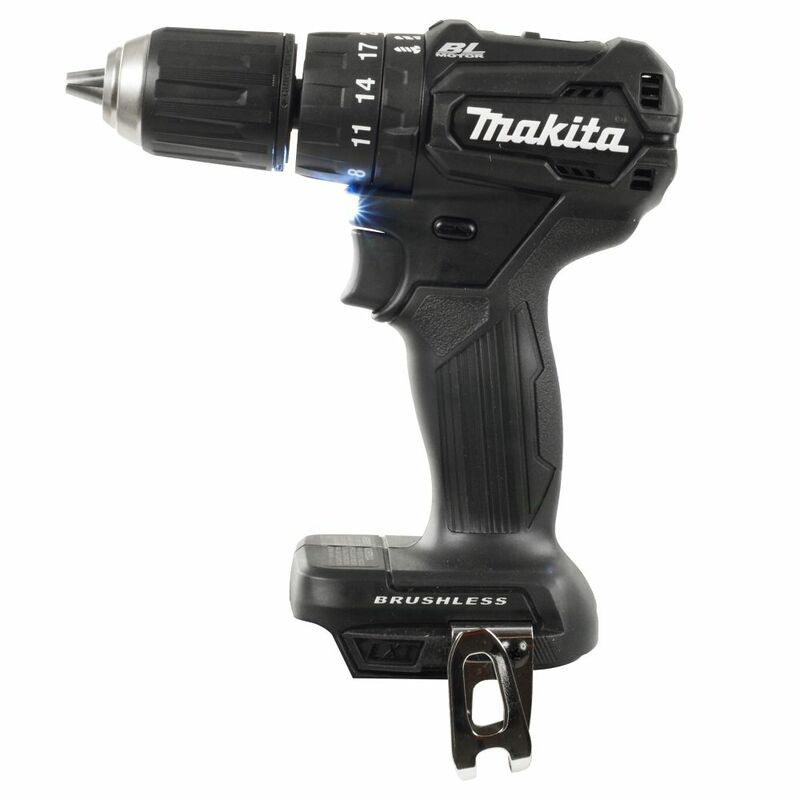 Sub-compact size (only 6-15/16 inch long) with high power ideal for professional installers, cabinetmakers, electricians, hobbyists, DIY and more! eXtreme Protection Technology (XPT) offers maximum protection against dust, debris and liquids for optimal performance in extreme conditions. Brushless DC motor with high power to weight and size ratio.